Don’t freak out before trying this delicious sweetened freekeh! 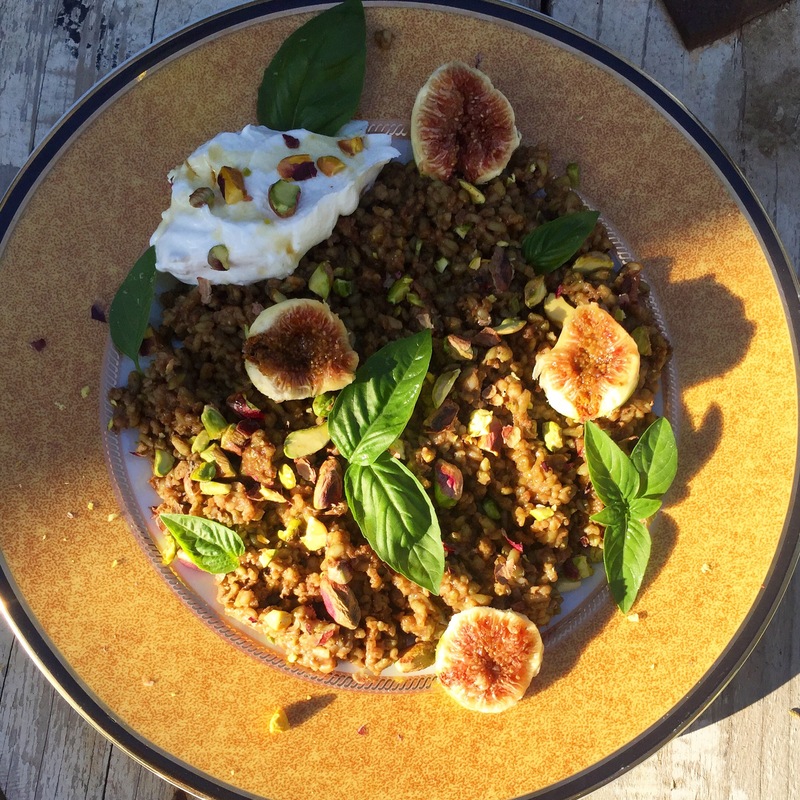 This unusual combination of boiled freekeh with meghli spices mixed with honey and served with pistachios, a dollop of labneh, figs and basil leaves is truly delicious! Freekeh is an ancient Middle Eastern grain and is actually wheat that is harvested early, while the grains are still green and goes through a roasting process in its production followed by drying and rubbing resulting in a slightly smoky flavor and nutty texture. Freekeh contains more proteins, fiber and minerals than wheat! 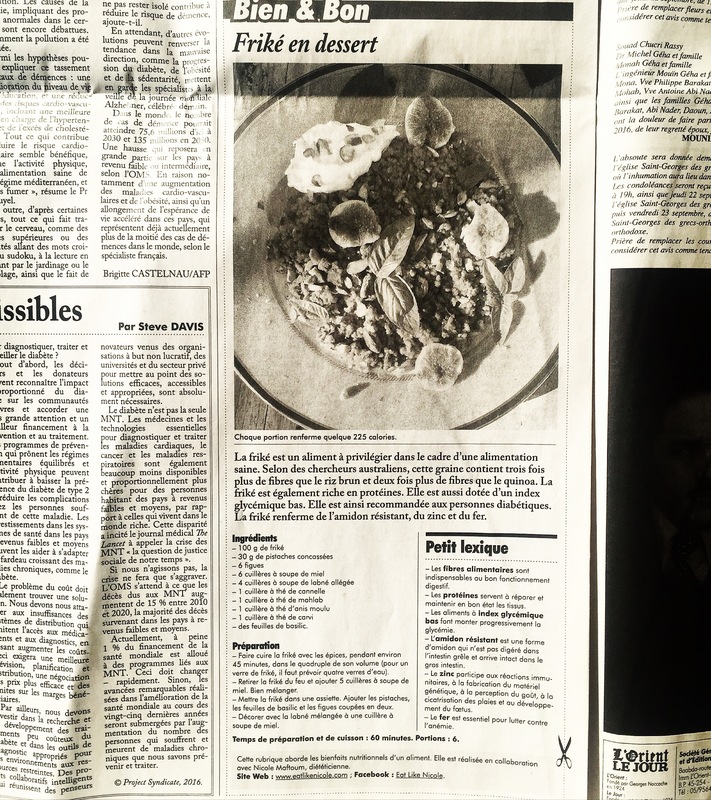 It also has a low Glycemic Index. It contains three times more fiber than brown rice and two times more fiber than quinoa.